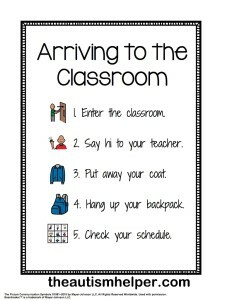 Perhaps the most important aspect of successful classroom management happens before the class even starts. Your lesson plans need to be clear. You need to begin each day with clarity about what students will learn and be able to do by the end of the class period, and every second of your day should be purposefully moving you toward that end. Tight planning also allows for effective transitions between activities and exercises; times when classroom behavior can be most vulnerable. It's also important that what you are planning or preparing for your class everyday is engaging for your students. A bored student is often a disruptive student. Finally, you should always over-plan for each day. Nothing is worse than being stuck with 20 minutes with nothing planned for your students to do as idle students are also often disruptive students. If you are a teacher who has learned to teach in the last 20 years, you have no doubt heard how important the first day of class is. This one day really does set the tone for the rest of the year in your class. It is absolutely crucial that on this day you clarify your behavior expectations with the students and then from that point on you follow these rules and guidelines, and address behavior issues immediately. Students need to be certain what is expected of them, so when dealing with English Language Learners this may require some modeling and repetition to ensure they understand how they should behave. You may feel like a drill sergeant that first day, but remember you are being paid to teach, not be best friends with your students. It is much easier to be strict at the beginning of the class on, then to try to be strict after the class has already started. Routines are key to a well-managed classroom. They save time, keep students focused on learning and limit bad behavior. 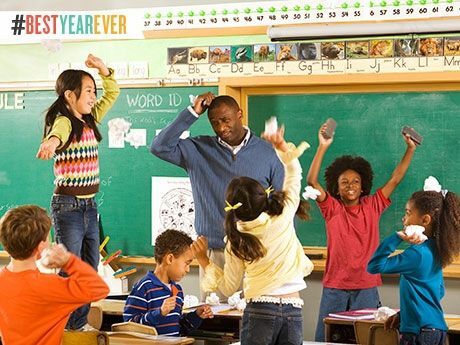 Anything you do repeatedly over and over again such as lining up, turning in work, getting in groups until that behavior becomes ingrained in your students’ actions. The key is to teach in a detailed way. Imagine you’re a student and guide them through the step by step. For example, if you’re teaching how to enter the classroom in the morning, model the way you would like them to come in to class every day. After checking for understanding, choose a student as a model then practice as a class until perfected. Make sure you consistently follow these routines and deal with any behavior issues right away. For me, getting to know my students always helped in managing my classroom. As I just mentioned this doesn't mean becoming best friends with your students. What this involves is taking the time to learn who your students really are and forming professional teacher-student relationships. This often happens in the time when you are not teaching at the beginning or end of the class. You can start this process by letting the students know about you. You'd be surprised how interested students are in finding out information about their teachers. You also need to make an effort learn about their lives by finding out what drives, interests, goals, etc that they may have. If you can, building relationships with their parents is also a great way to help manage your class. Why does all this work...I think it comes down to it shows the students that you care about them and if they get to know you, they'll probably not want to disappoint you because they will begin to care about you. One of the worst things you can do it class is lose your patience and freak out in class. Often teachers believe they can just scream and yell at their students to control them. This doesn't work and only creates a negative and fearful class atmosphere...and who wants to learn in that environment. Also, if your students snap or get angry with you, it is important that you do not take this personally. You gotta have thick skin as a teacher. Remember these students have lives outside your classroom, and the reason they lash out could have absolutely nothing to do with their teacher. Call attention to the things your students are doing that meet your expectations. This can have a great impact on how your class operates on a day-to-day basis. 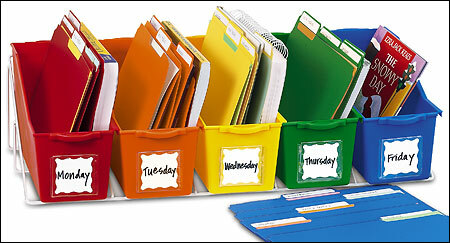 First, it helps you to reinforce the expectations for student behavior in a non-negative way. It also enables students who may have misheard you the first time to hear exactly what you expect of them. It's easier for students to meet your expectations when it's clear what those expectations are. Praise also shows your students that you're with it, that you're very aware of what's happening in the classroom. When they see and hear that you see and hear pretty much everything, they know that you mean business and that even their smallest actions matter.